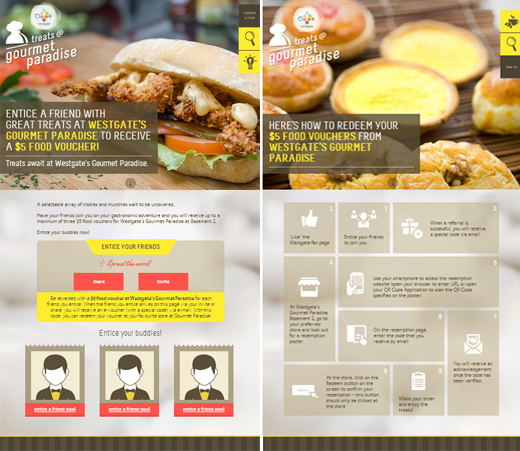 Singapore – noisycrayons has launched Treats @ Gourmet Paradise – a digital-to-foot-traffic activation campaign for CapitaMalls Asia’s Westgate, a 250-store lifestyle and family shopping mall located at the heart of Jurong Gateway. Catering to the appetites of 18-34 year-old men and women who work, live and play in the Jurong Lake region, the campaign was designed to build familiarity about dining offerings at the newly-opened mall. 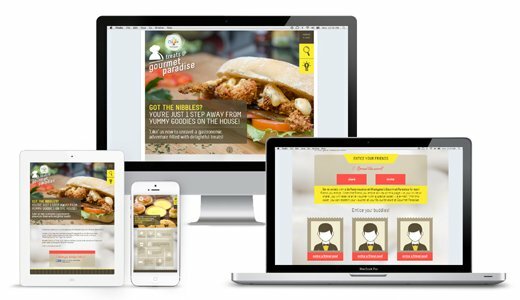 The campaign was enabled by a mix of online application deployments and in-store collateral placements. Treats @ Gourmet Paradise rewarded fans with dining vouchers whenever they enticed a friend with wonderful treats from Level B2 of Westgate. Facebook fans of the mall were issued with e-Vouchers when they referred friends to check out dining options at the mall. They were then invited to visit participating stores to redeem their vouchers via a redemption application which they could access on mobile devices. Redemptions were made by entering special codes that were generated with the vouchers at point of issue, on store-specific redemption sites. Customised redemption sites were made known to fans only at point of redemption via QR codes and URL addresses that were printed onto campaign posters. Fans did not have to decide which stores they would patronise at point of voucher issue. Instead, they were invited to visit and take their pick at the mall. With the campaign, Westgate activated thousands of new patrons to the mall and generated tens of thousands of social actions. Digital and social platforms provided the mall with a scalable and cost effective solution to convert a sizable number of online audiences to real customers and drive significant foot traffic to the mall. A complete retail experience was created for shoppers. Those who initially transcended upon the mall for dining offerings were served opportunities to experience offerings by other tenants, resulting in an increase in consumer spending from spill-over visits to other tenants.